Living on a budget is a common standard in today’s society. It is possible to travel and still be on a budget, just use these tips! Before you set out on your vacation no matter where you go it doesn’t hurt to have these healthy travel snacks on hand and don’t forget about these travel games that require no extra set up or pieces. A common issue with traveling on a budget is that people choose destinations that are way too far away. When you travel only a few hours from home, you can save money and still have fun. You may live in a place that doesn’t have much available for fun that is only a few hours away. That’s why you need to decide which areas you will cut in your travel budget. Cooking your own food while you’re traveling is a great way save money. For example: staying at a cheap hotel may save you a few bucks, but staying in a cabin where you can cook will save you a lot of money. When you stay in a hotel, you don’t have access to cooking your own food, which can cost you a fortune. When there are a lot of you traveling together, you will need to probably take a vehicle. However, if there are only a few of you travelling, then there are several options. Sometimes you can get killer deals on airfare. Other times you may be able to take a train or even a bus. It’s nice to know that there are options besides paying those expensive gas prices. A lot of people spend an arm and a leg packing expensive travel sized items. If you know you will be traveling soon, start saving up on those travel sized products. You can always ask friends and family for their extra travel sized products if they won’t be using them anytime soon. A lot of money spent on vacation or travel is a result of the tiny splurges. These types of splurges are stopping at gas stations, eating out, and even buying souvenirs. 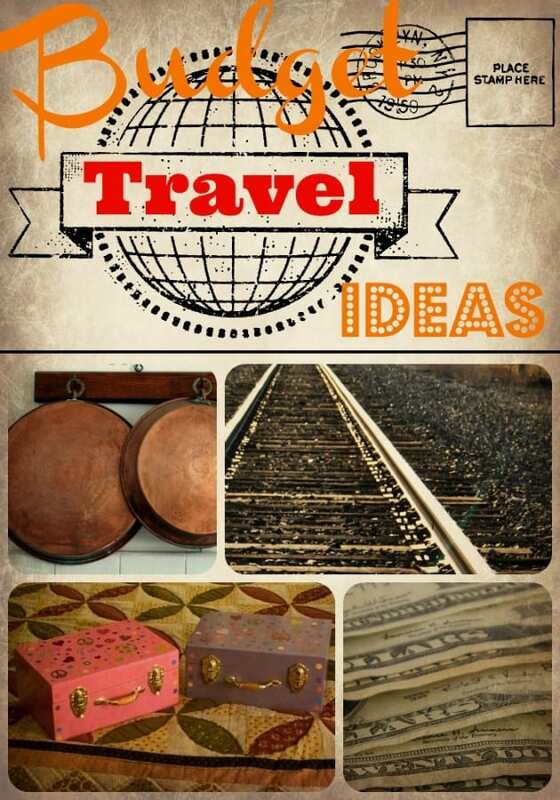 Stop and think about each purchase you make and this will help you travel while on a budget. Do you think you’re ready to go on a vacation or travel while on a budget? No one claims this will be easy, but with these tips it will be possible. Don’t forget to check out sites like GoldStar and Groupon for budget friendly entertainment ideas as they offer discount tickets in most cities. For more discount ticket sites see this post on 9 Discount Entertainment Ticket locations.